This is a large space measuring 17m x 9m. 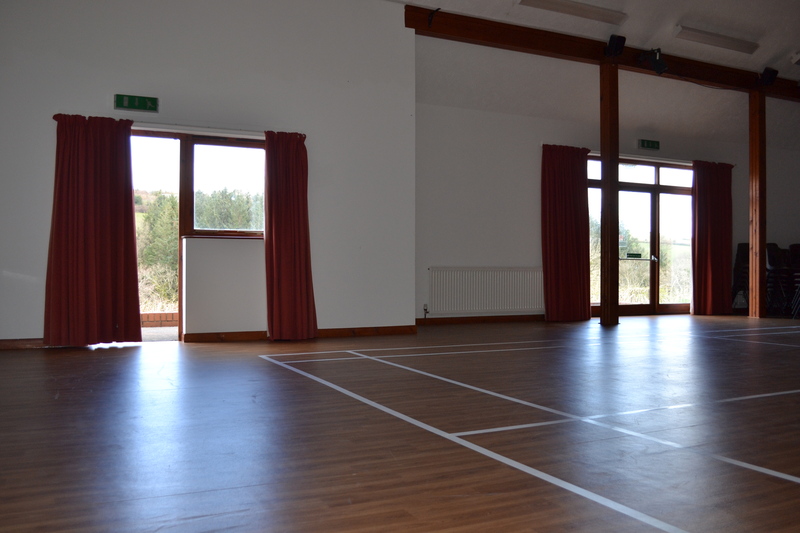 Several windows and doors take advantage of the lovely landscape in which the hall sits. 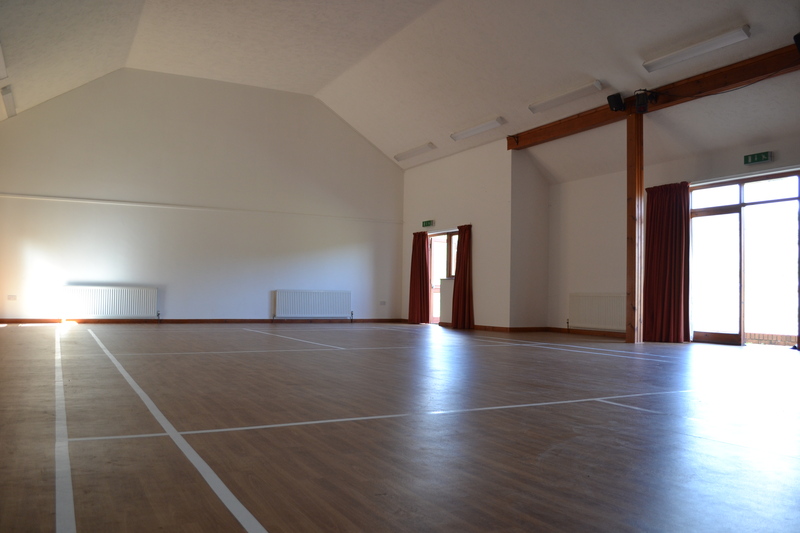 The hall can comfortably accommodate around 150 people standing (or dancing!) and about 100 seated. There are plastic stacking chairs, a range of tables, the components of a modular stage and large theatre style curtains at one end. The plain white wall at the other end has been used for slideshows and films. There are a couple of spotlights. The floor is marked out with a badminton court. For a full inventory see the inventories page. 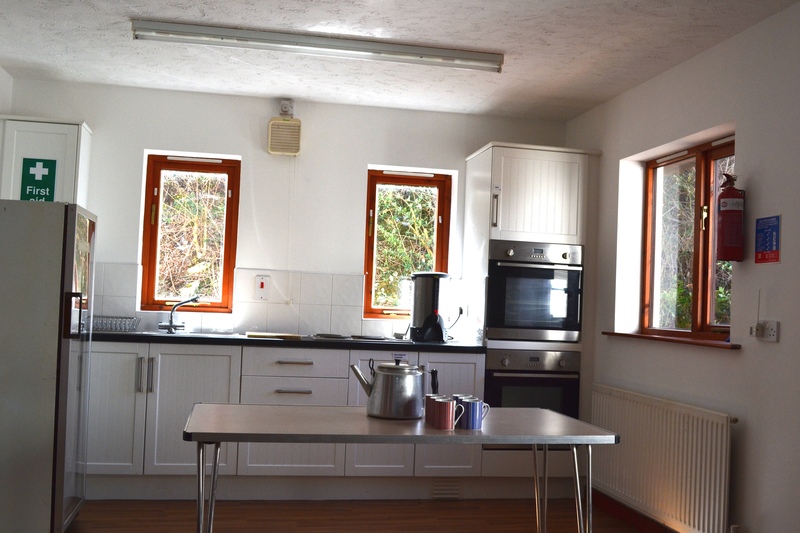 The kitchen is a generous size and well equipped. There is plenty of crockery and cutlery and a range of pots and pans. There is an under counter sized fridge and a large chiller as well as a four ring electric hob and two eye level ovens. A large serving hatch connects the kitchen to the main hall. 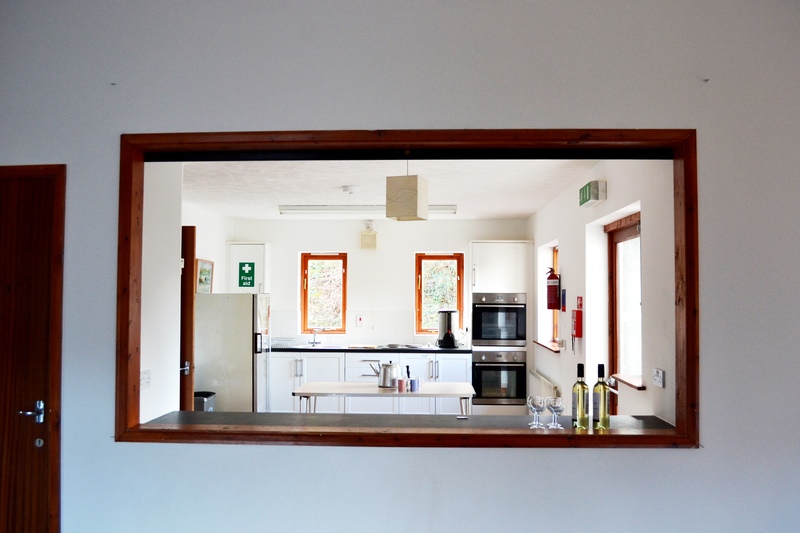 The kitchen is also suitable for use as a small meeting room. 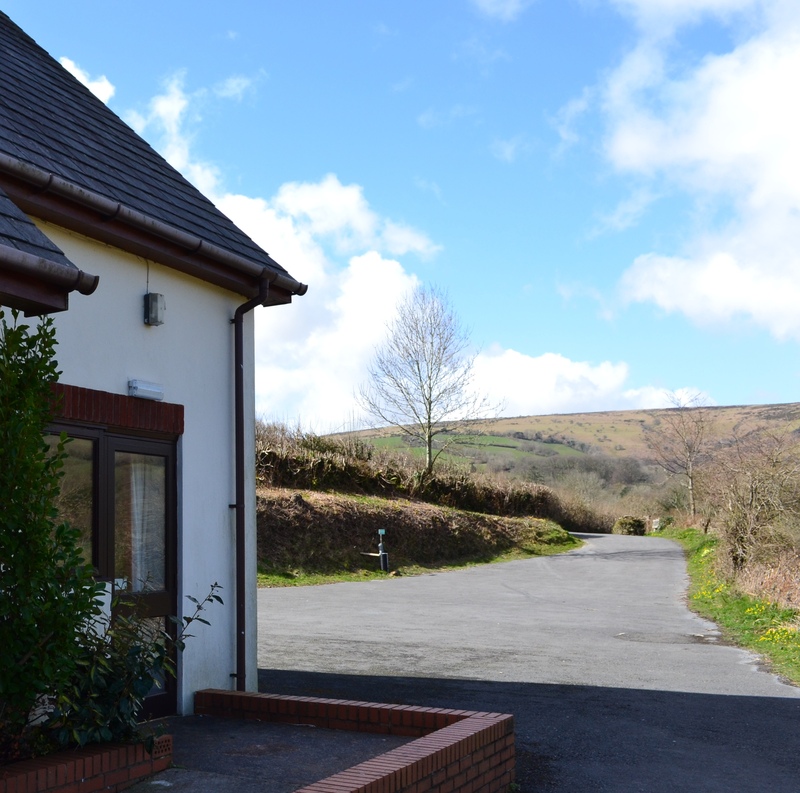 There is a parking for around 30 cars and a small garden area with picnic tables from which to enjoy the views.